Here are some phographs of a unique and exciting project I worked on recently! 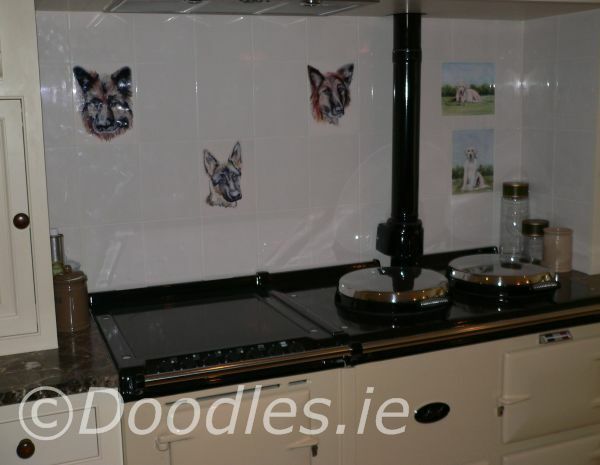 I was commissioned to paint 3 German Shepherds and 2 Labradors. 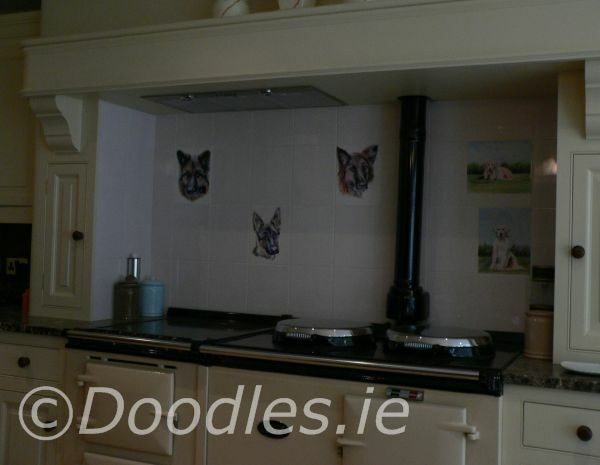 When completed, I had the images transferred on to tiles, which were inserted behind the aga, in the client's kitchen. You can see the portaits in more detail in the Gallery section.